Contents: 7 Videos (DVD) shipped to you. online multiple-choice test. Contents: 7 Videos (DVD) and workbook with multiple-choice test shipped to you. Already own the 7-DVD set Deep Tissue Massage and Myofascial Release: A Video Guide to Techniques? Call us at 1-800-364-5722, 9am to 5pm, to discuss your enrollment options. Based on the popular 7-DVD set by Art Riggs, Certified Advanced Rolfer, CMT, this advanced practice home study (kinesthetic) course clearly demonstrates the principles necessary for deep tissue massage that’s safe, sensitive and efficient. 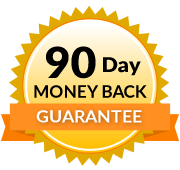 Learn from one of the most highly respected teachers in the USA. Art Riggs provides instructions and protocols for postural analysis; deep tissue treatment; how to teach strengthening and stretching exercises to clients; how to troubleshoot problems when they arise, and how to protect your body while working. Many massage training products just show "strokes" without delving into the complex issues of soft tissue restrictions, osseous articulations and strategies for working with the multitude of different issues we face as therapists. This extensive training series not only shows countless strokes and techniques, but more importantly will demonstrate the qualitative art of working with deep tissues to effect profound change. 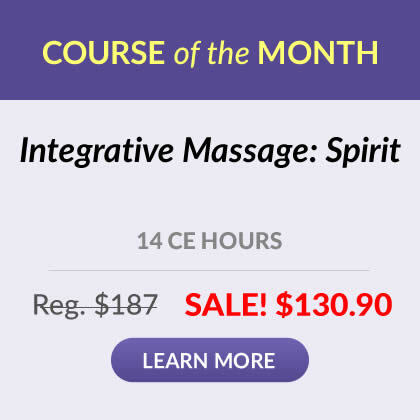 This course has a user-friendly design and is relevant to any type of massage practice in any environment. You may examine the test NOW by registering for an account on our website; returning to this Enrollment page, and downloading the FREE Study Guide with the link that will be present. Suggestions for rehabilitative home programs of strengthening and stretching exercises for your clients. I found Mr. Art Riggs very informative and knowlegable in this wonderful course. It certainly will improve me as a professional massage therapist and will definitly enhance my massage practice. Better understanding of the body tissues and how to work deeply without hurting the client, is what I enjoyed the most. Same excellence as Part I of this course! Great reference material. This was a very well presented course on deep tissue techniques. Art Riggs is a fantastic educator and rolfer. I would recommend this to anyone who does massage as essential! Excellent DVDs! So much great material! I watched some of them 3 or 4 times. Printing out the test and answering the questions as I watched helped to hold my attention. Many of the techniques are brand new material for me to grasp. These techniques, once studied in more depth, practiced, and applied, will increase my understanding of how to apply them on various types of client issues. This course will bring many more clients to my business. I have already gotten rave reviews from clients by using these techniques. Art Riggs is an excellent teacher. I have been a massage practitioner for 15 years and thought there wasn't much more to learn that would change the way I practice which has been very successful for me. However I have burnt out of my career, left with chronic pain in my wrists and thumbs, forced to take a 2 year hiatus. Art Riggs has completely revitalized my practice and the way I think about massage. He is so thorough and provides so many techniques in a way to incorporate it creatively into my own way. He was very easy and relaxing to listen to, which is important to me for learning and spending lengthy time on this type of material. The only thing I would have changed is the ability to back up the dvd to specific spot, instead of having to review a 15 min. segment to find my answer. Regardless, it is a course I will review again and again for my own enrichment as there is so much information and possibilities covered in this amazing course. This course includes a lot of great information. I enjoyed Art Riggs as an instructor. He is both knowledgeable and clear in how to use the techniques he presents. He encourages good self care with respect to proper use of demonstrated course material. Art also reminds us that it is okay and important to give our clients some nurturing too. I appreciated that he encouraged using the material he presents as an opportunity to grow as a therapist, expanding not only our abilities, but the belief in our ability to help clients. I enjoyed and would recommend this course. The program: Deep tissue:Part 2 Will make you think; especially in area's of weakness.I realized how much I don't know. The video's are sometimes hard to follow. but at least you can go back and review. Thank you! This was an amazing course. I learned more than I could imagine from one course. Art Riggs is thorough as he can possibly be on a DVD course. I am very pleased with the Institute and look forward to taking more classes from the Institute in the future. Thank you for a wonderful course. Art Riggs is a master therapist and can convey and demonstrate theory and technique marvelously. Thank you for offering his course. I really enjoyed this course and gained a lot of knowledge from it. I just purchased his next video about deep tissue massage. As a busy stay at home mom this was a great format to earn the CE credits I needed without having to travel and take time away from my family. I am looking forward to studying these dvds more in depth and practicing what I learned.